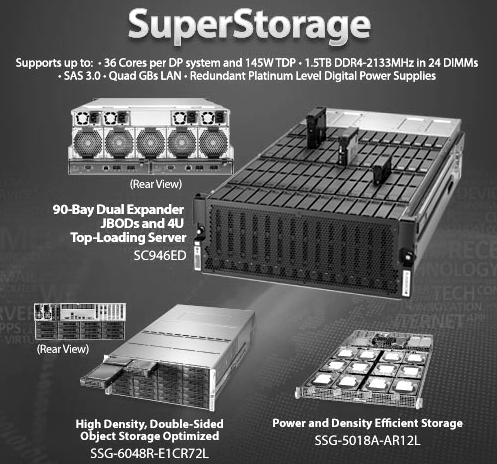 Supermicro's extensive range of rackmount storage server solutions provides exceptionally high storage density while leveraging high-efficiency power to maximize performance-per-watt savings to reduce TCO. 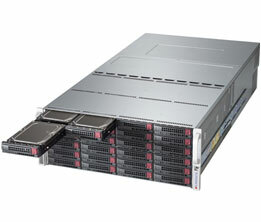 The product line includes 2U, 3U, and 4U form factors, with each server capable of supporting up to 7 PCI expansion slots and Supermicro's wide line of DP and UP motherboards. 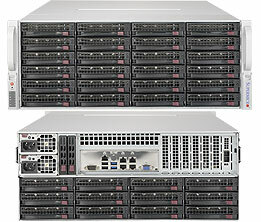 Offering up to 95% power efficiency, cooling redundancy, power redundancy, hot-swappable drive bays and fans, Supermicro storage servers are designed to meet the requirements of today's sophisticated enterprise data centers and high performance applications with new levels of storage performance, scalability and reliability. 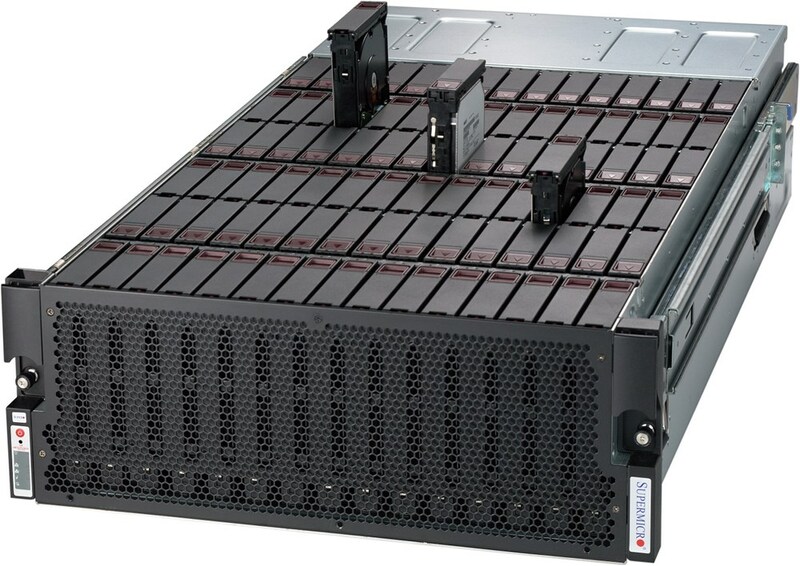 Direct attached HDD backplane (E16 version) and expander backplane (E1 and E2 versions) are available for application-specific solution optimization. For quality assurance purposes, the product is required to be sold as a complete system with HDDs fully integrated and tested. Please contact your Sentral sales representative for validated HDDs. Due to the complexity of integration, this product is sold as completely assembled systems only (with minimum 36 HDDs).